General purpose data logger probe. 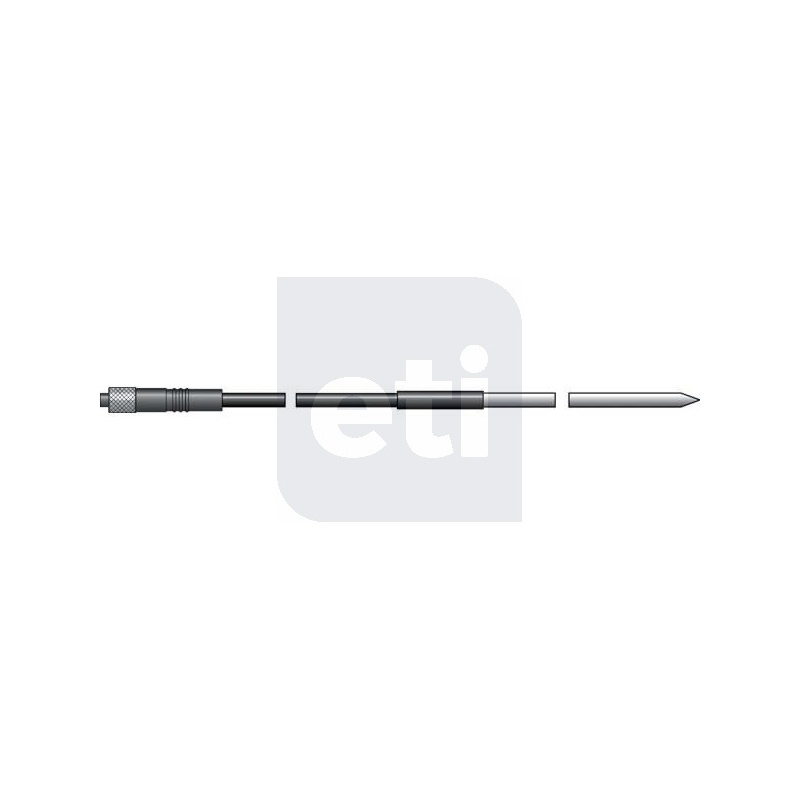 Data Logger Temperature Probe - This general purpose, pointed, stainless steel penetration data logger temperature probe is suitable for a wide variety of remote monitoring applications, when used in conjunction with an ETI ThermaData Logger. Supplied with a one, two or three metre PUR/PVC lead and compatible three-pin Binder connector. Response time less than six seconds. Probe temperature range -40 to 125°C. 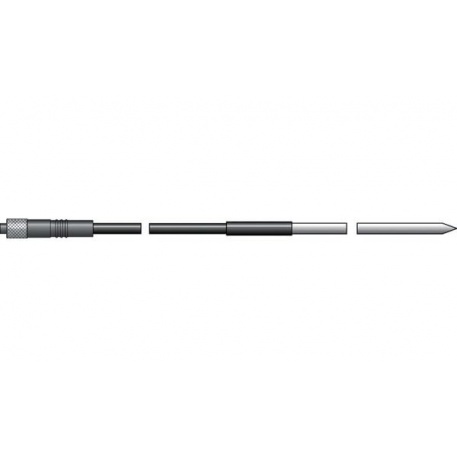 Probe dimensions are Ø3.3 x 100mm.